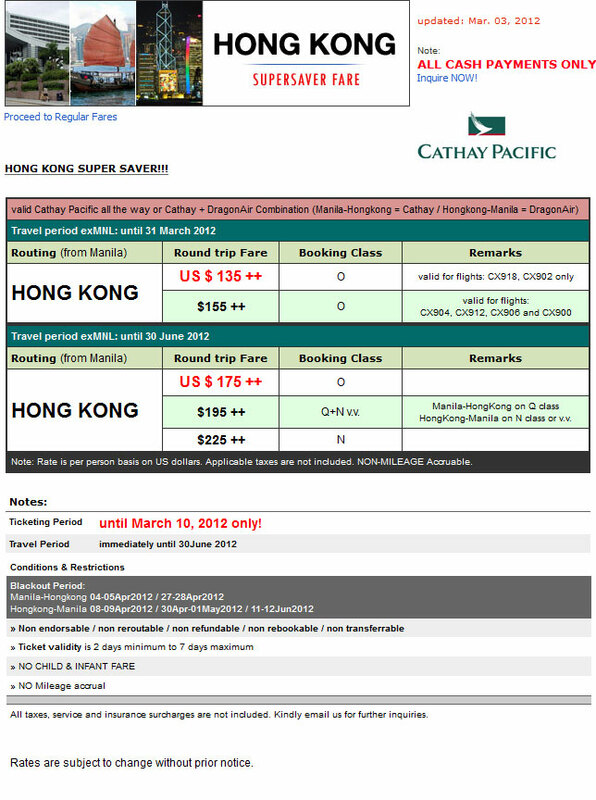 Hong Kong Supersaver Fare (Cathay Pacific) – Ticketing Period: until March 10, 2012 only! This entry was posted in Around the World, Book with Us!, Hong Kong, Land Arrangement Packages and tagged bridges travel, fare, hongkong, supersaver fare. Bookmark the permalink.